Zipping files can be a useful way to send multiple files to someone as one attachment. Sometimes companies or institutions may even require it when sending multiple files depending on their workflow. There are many software companies you can use to zip/unzip files, but your computer has the function built into the operating system. Zipping files is a quick process. First, create a folder and name it to describe it’s contents. Next with your mouse, right-click on the file, put your mouse over the “send to” option, and select “Compressed (zipped) folder” from the list. 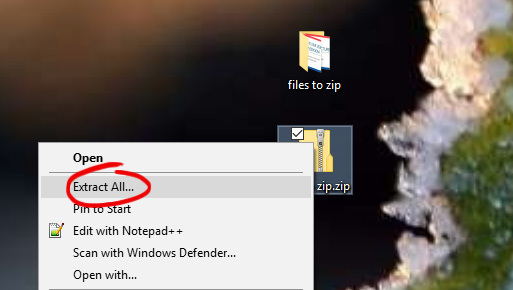 Your computer may ask you where you would like to save the new zip folder. 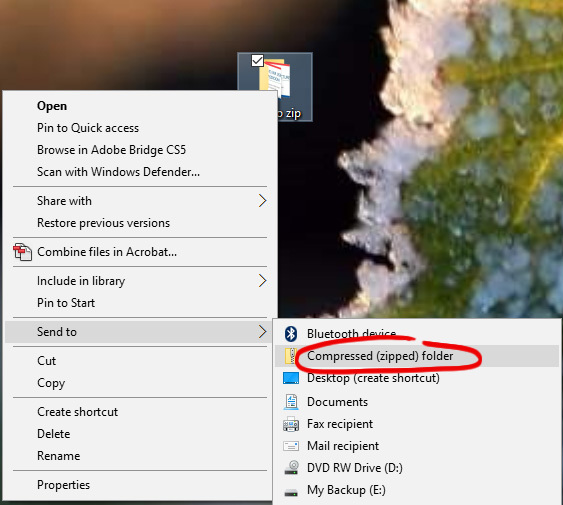 The default is to save it where the folder you are trying to zip is currently. ie., the folder is on the desktop so the new zip file will also be on the desktop. When you select a location, your computer will create a new file/folder. You may then distribute the new zip folder as you see fit. 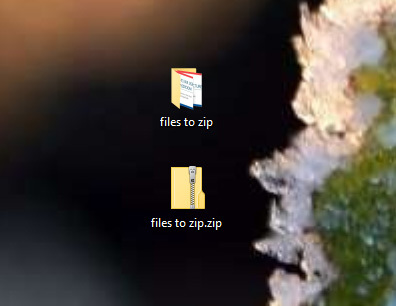 To use the files inside of the .zip, you will need to unzip the folder. 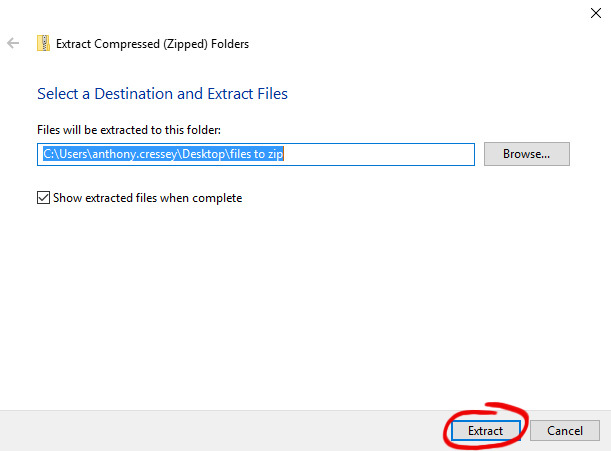 Simply right-click on the zip folder and select “extract all”. Your computer will extract the files.